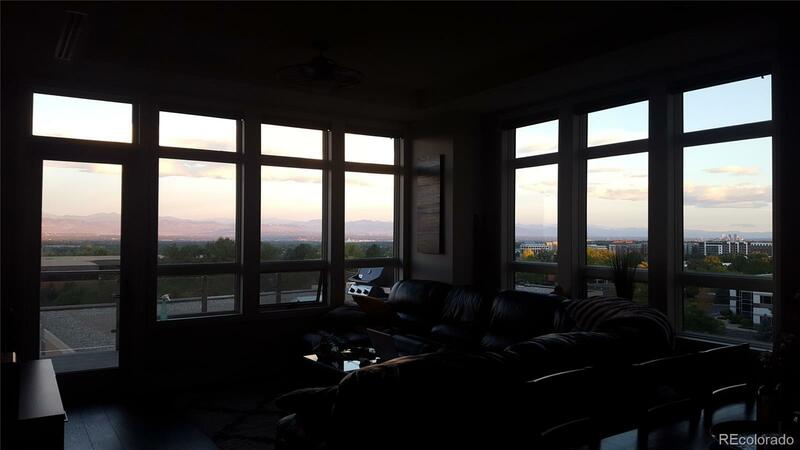 This stunning condo is an end unit, with expansive mountain and city views from the main living spaces and master bedroom suite. It is rare for a Landmark unit with these views to come available. The location is on the west side of the west building - furthest away from the highway unlike most other units. It boasts newer upgraded wide plank wood flooring, designer paint, automated window blinds, custom closets, upgraded light fixtures, fine finishes, high end appliances. Access to the balcony from both the living room & master bedroom. Owners get access to the amenities in both buildings, with 24 hour front desk concierge and security. Move here for your active and worry-free lifestyle!